On August 20, 1794, Wayne’s Sub-Legions met the confederated force of Native Americans near present day Toledo, Ohio. The Battle of Fallen Timbers proved to be the decisive battle in the Northwest Territory. Wayne’s Sub-Legions destroyed Native American resistance in Ohio Country. The following year, 1795 saw the signing of the Treaty of Greeneville. This treaty paved the way for further settlement of what would soon be Ohio. 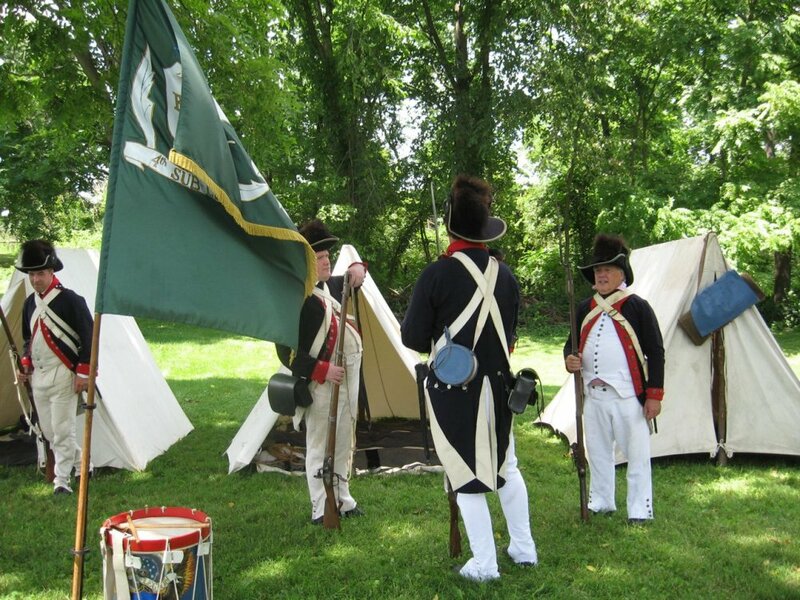 To learn more about the soldiers and this period of history in Cincinnati, join us at Heritage Village Museum Saturday June 29th 12pm-5pm and Saunday June 30th 10am-3pm as we present Wayne’s Muster. General Anthony Wayne’s Fourth Sub-Legion will be here to demonstrate the life a soldier during the early years of Cincinnati. Visitors will experience camp life, military drilling, and cooking in our stone kitchen and fire pit by the Sub-Legion’s Women of Camp. John F. Winkler, author of Wabash 1791 and Fallen Timbers 1794 will be speaking about these conflicts as well as the role early Cincinnati played in the Northwest Indian Wars, 1785-1795. Admission is $5 for adults and $3 children 5-11. Admission price includes a guided tour of Heritage Village. Ladies and gentlemen of Waynes Muster, your professionalism brings history alive. Thank you for what you do!